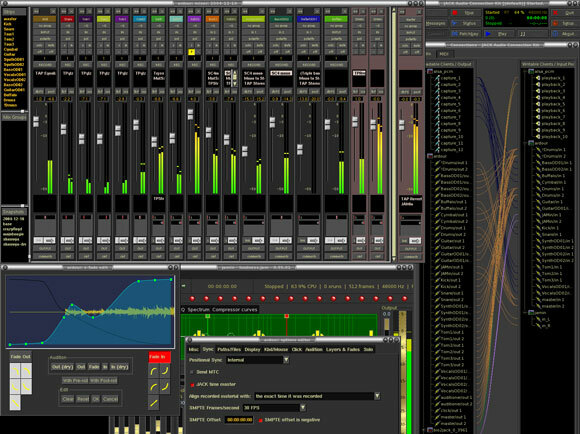 If you haven’t been paying much attention to the leading open source DAW, Ardour, now might be a good time to start. Not only is this software fully open source and freely available for Mac OS X and Linux, but as it nears a major upgrade, it’s getting some significant feature support — and the endorsement of a studio recording heavyweight. Even if you never intend to use Ardour, this could have significant positive ramifications for commercial DAWs, too, like helping build a truly open interchange format and plug-in platform. Control surface plug-in architecture: Currently, Ardour supports the excellent Tranzport remote control; other support should be forthcoming. OSC support: Transport only for now, but hopefully this will mean full OSC control in the future. Saved undo: Undo history is retained between sessions; thank Google Summer of Code for this! Destructive audio: Yep, you read that right: if you like, you can overdub new audio without retaining the old audio, which could be useful in certain situations. … we regard the Ardour platform as important for an industry that doesn’t currently have a truly open project interchange standard or an open platform for plug-in developers. The open architecture and platform neutral technology of the Ardour workstation are a natural fit with SSL’s long-term vision to provide scalable and customisable solutions to a rapidly growing customer base. In other words, there are two clear reasons to look to Ardour: it could help develop a truly open source interchange file format and plug-in platform, two things we’re currently missing. That could bring benefits to other audio software, too. So, commercial developers, I hope you’re listening to all of this, too.